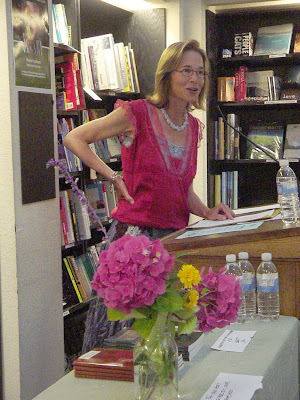 Kathleen Flowers was a bilingual teacher and acclaimed Santa Cruz poet. I was attracted to her verse by its warmth, beauty and bite. She died of a rare form of cancer on Easter Sunday. Adios, muchacha. belly slit by a sickle moon. a black field lying silent. to the dark gulls, to the night. plus more time for open mike stories and reminiscences.